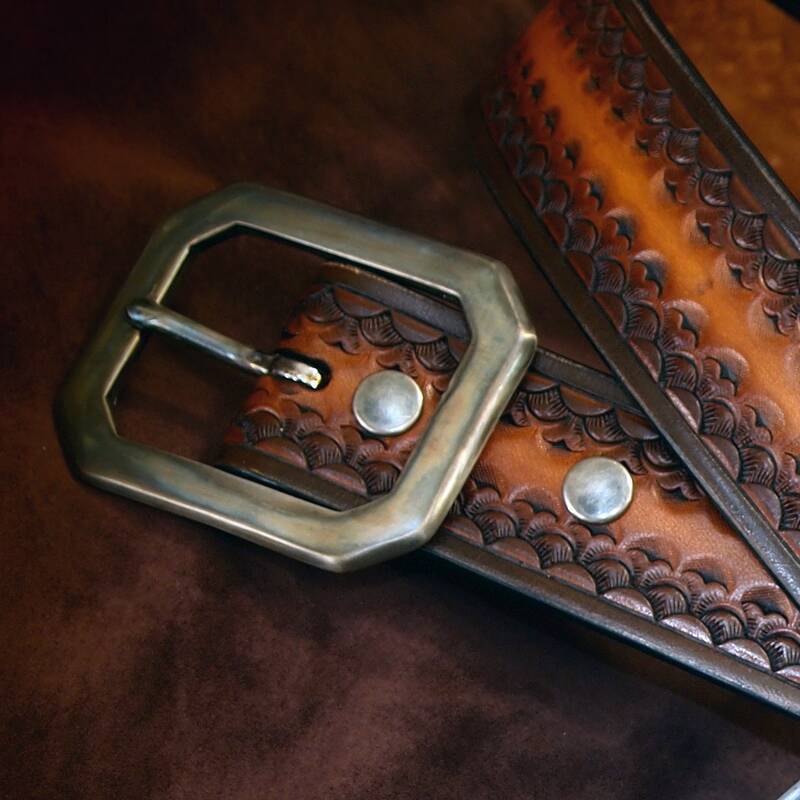 Brown Leather Belt : Custom Sunburst finish. Hand Tooled and made just for YOU in New York! 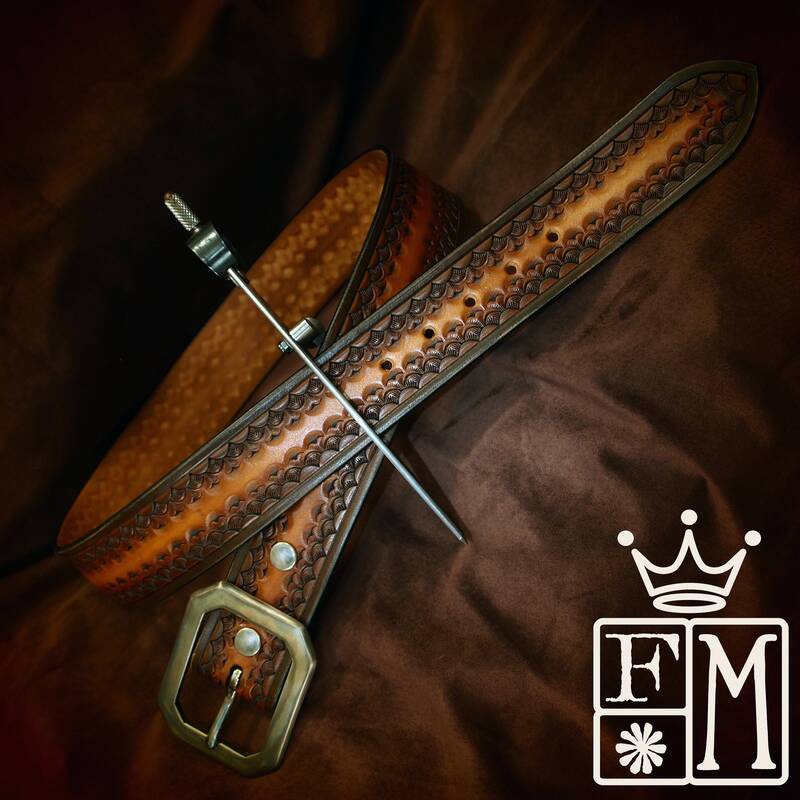 This brown leather belt starts as a 1-3/4" wide piece of 9 oz. natural veg-tan leather. 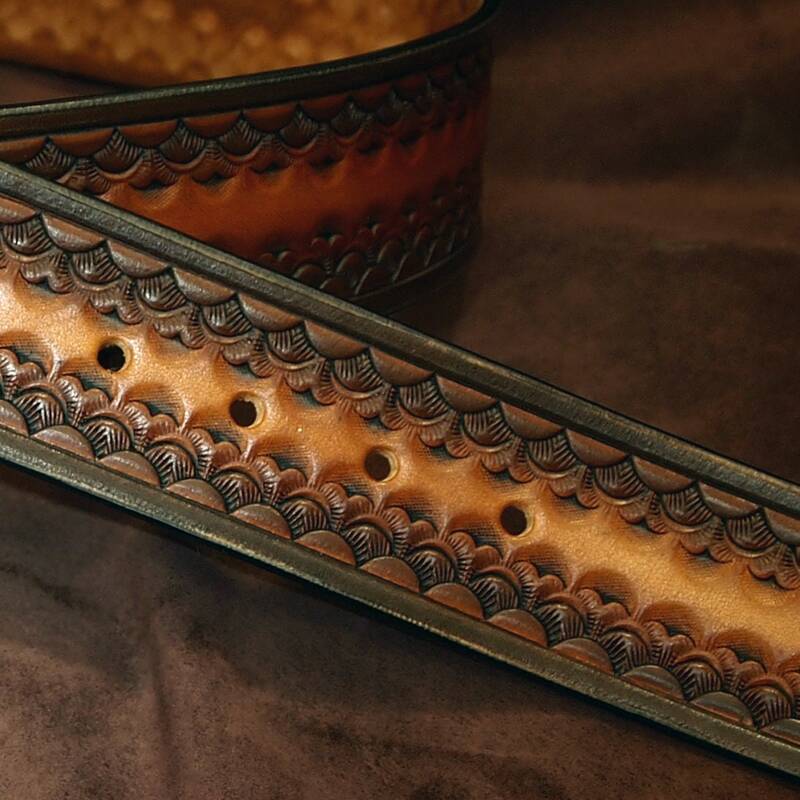 It is hand tooled with a unique stacked western border and hand dyed a in a custom vintage sunburst finish. The edges are beveled, slicked and finally polished with wax and lightly distressed to produce a vintage finish. The centerbar buckle is distressed and can be worn with your own buckle as the belt uses 2 hand distressed snaps to attach. This belt now makes three products I've purchased from Freddie. Each of them more meticulous in detail then the prior. I've purchased a watch band, and cuff that he made from simply of a photo I saw someone wearing it and of course this belt. Each purchase cost increased as I couldn't stop admiring the quality of work and craftsmanship. Now this belt is something I've had my eyes on from the beginning but the cost was the only factor. Decided to take the blunge as you honestly can't find great belts for men and MAN, I couldn't be any happier with the purchase. It's just absolutely stunning. I've worn it since and plan on tossing all of my other brown/drk brown belts out as this one replacing them all...oh the cool thing, you can swap out the buckles! Highly recommend buying a belt if you've had your eyes on it .